During my days in L’Approdo, I see the golden mullets and the sand smelts ( get bigger day by day… towards the evening, the grey mullets go hunting as the snowy herons fly by and the black-headed gulls dive into the water to catch fish. From time to time, grey herons pass over these parts while some swans have nested beyond the opposite bank. From here you can see the first snowfalls and the white mountain tops up until the cold season is over and the snow melts. Seeing as dreams don’t build themselves, I rolled up my sleeves and got down to business. Above, you can see the different construction phases, and yours truly at work… A year of hard graft, but so satisfying! 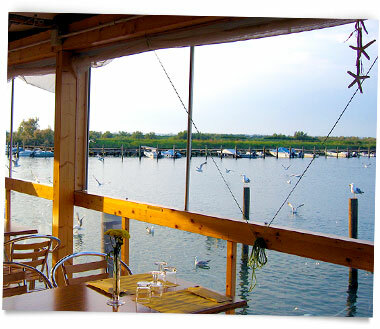 L'Approdo means traditional Grado cuisine. Our own fish, our own flavours. 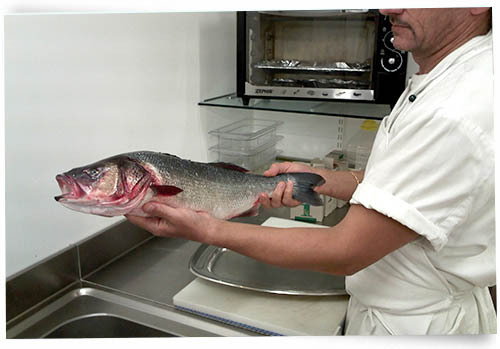 We serve local fresh fish, even shellfish, and all the ingredients are genuine and carefully chosen. you will be delighted with our dishes, which have been created with love and skill. Out for a boat trip around the lagoon? Set sail for L’Approdo and dock at our quay.